Tom Hanks is a household name in America who has acted in a number of blockbuster films and has been entertaining the world audience till today. He is best known for his roles in movies like Saving Private Ryan, Forrest Gump, Sleepless in Seattle and The Da Vinci Code. He was born on July 9, 1956 in Concord, California. 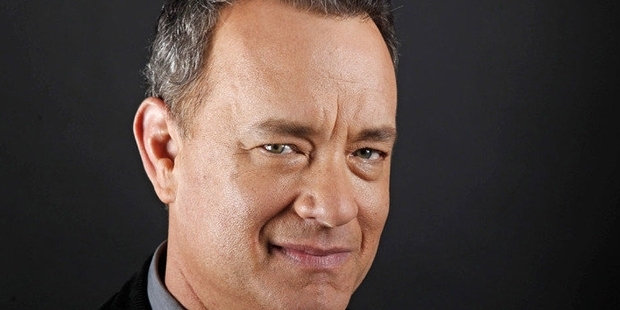 His parents divorced when he was four years old and Hanks went on to live with his father. From being a shy theatre loving kid to becoming one of the greatest Hollywood superstars is a remarkable story indeed. As of 2012, the films Hanks’ has starred in movies that have grossed $8.5 billion worldwide with $4.2 billion in the U.S. itself. Hanks was interested in theatre as a young student and found it the perfect platform for expressing himself. So he joined the Chabot College in Hayward, California. Later he went on to join California State University, Sacramento. He also spent lots of time at different theatres watching plays all by him whenever he was free. He did this in order to increase his knowledge about the nuances of acting and learning by seeing different actors perform. During his theatre years, he came across Vincent Dowling who was the head of the Great Lakes theatre Festival. When Dowling suggested Hanks to join as an intern at the Festival, Hanks gleefully obliged. This began his discovery into the world of theatre. Here he was able to learn most of the aspects that go behind a theatre production. This included the set design, stage management, lighting and the finer aspects of the art. He dropped out of college as his work here got extended to three years. But during his stay here he was acknowledged for his role as Proteus in Shakespeare’s ‘Two Gentlemen of Verona’ in 1978. He won the Best Actor award from the critics for this performance. In 1979, Hanks decided to pursue his dreams by moving to New York City. He made his film debut immediately by starring in a low-budget film, ‘He Knows You’re Alone’ (1980). This was a horror movie and thus didn’t get him the attention he hoped to gain. But his lead role performance in the Riverside Shakespeare Company’s production ‘The Mandrake’ got him noticed and thus got him an agent named Joe Ohla. Thus he went on to make his mainstream T.V. debut in the show Bosom Buddies which ran for two seasons successfully. He was soon looked on to by directors to cast him in their sitcoms. He was appreciated for both his ability to make people laugh and also his ability to play dark characters very comfortably. His role in the movie ‘Big’ brought him both box office success and appreciation from the film industry. His 1993 his films ‘Sleepless in Seattle’ and ‘Philadelphia’ went on to become blockbuster hits. Director Ron Howard cast him the 1994 movie ‘Splash’ which was going to propel him into the top league of actors in the industry. This movie was a romantic comedy set between a mermaid and a human. This went on to become a box office hit with total gross of $69 million. He won an Oscar for Best Actor for his performance in ‘Philadelphia’ for which he had lost 35 pounds and played a gay lawyer. 1994 was a great year for him as his won his second consecutive Oscar for Best Actor. This was for his role in ‘Forrest Gump’. Then Hanks went on act in ‘Apollo 13’ and gave his voice for the blockbuster hit animation movie ‘Toy Story’. Hanks went on to direct his first film in 1996, ‘That Thing You Do!’ In 1998, again he starred in two extremely successful movies, ‘You’ve Got Mail’ and ‘Saving Private Ryan’.